Timewalking raid is released with the 7.2.5 patch. Black Temple Timewalking drops 900 ilvl gear which can also get warforged. You also get Artifact Power. What is the requirement to do Black Temple Timewalking? You need to be atleast level 70. Your gear ilvl will scale so all characters will have the same ilvl when they enter. How do I enter Timewalking Raid Black Temple? You cannot que up for this like you do on Timewalking dungeons or Raid Finder. THere is a NPC that you talk to in Shattrath near the Timewalking vendor. Leader talks to him to start the raid. This differs if you are a Demon Hunter or not. Complete the Timewalking Raid Black Tempel, kill Illidan (you dont have to complete this on your demon hunter, the achievement is account bound). Before your read on, here is an important note: If you can´t equip swords on your character, do NOT waste time farming it on that character. Make sure you can equip swords. Get the two weapons from original Black Tempel raid, Warglaive of Azzinoth main hand and offhand. This needs to be lootedand equipped by the same character. This awards you with the achievement: Warglaives of Azzinoth. 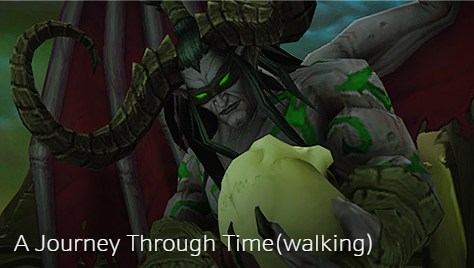 Complete the Timewalking Raid Black Tempel, kill Illidan. Boss targets u and chases you. If u get targeted, run back the road. Tanks stands next to each other. Stay away from bombardments and fire on the ground. No one talk to Akama until the room is cleared. Encounter starts when talking to Akama. Adds will come out from the sides. One tank handles the adds on left side. When casters are dead, boss comes out. Bloodlust/Timewarp/Heroism when boss comes out. Nuke boss, cleave dmg remaining adds. Watch out so you don’t pull boss when killing mobs in the room. Focus boss and cleave the adds when they come. Boss puts debuff on furthest target – Ranged players move front when u get debuff and move back when u don’t have debuff. Tank swap after each Bewildering Strike (immunity spells can remove it as well). Only main tank in front of boss. Boss gets bigger and does more damage. Defensive and healing cd on targeted player. Targeted player turns boss back to tank. Kill adds between each phase. Spirit Shock! Interrupt Essence of Desire She does this many times. Slow damage on boss because it reflects the dmg back to you. Slow damage so healers can heal u up again. Get loads of damage here, race against time. Bloodlust/Timewarp/Heroism here and burn down the boss. Ranged spread out and stay a max range so u don’t get interrupted (18 yards). 3 people will get teleported and they have to spread out in 3 different directions there will be a beam attached to them. Saber Lash does dmg to 3 players evenly. Have 3 tanks or a dps that can help take that dmg. Tank Gathios the Shatterer away from the others and dispel the one tanking him. The one tanking Gathios needs to move him away from consecration. Move away from mechanics like blizzard, Flamestrike consecration. Interrupt the Circle of healing then Lady Malande does it. 1) Lady Malande first (if he gets immune, nuke Zeveror then switch back to him when her bubble is gone). 2) High Nethermancer Zerevor (if he gets immune, nuke veras then switch back to him when him bubble is gone). 3) Veras Darkshadow (if he gets immune, nuke Gathios then switch back to him when her bubble is gone). Tank boss in outer circle, faced away from raid. Raid behind boss, spread out. Use defensive spell when boss does Shear. Healers beware of targeted player getting high damage from shadowfiend. 1 tank on each fire elemental faced away from raid. Raid spread out, do not stand in front on fire elementals. Move away from boss when he turns demon. Same as phase 3 but here, tanks need to move Illidan to the cage trap when he Frenzy´s.